Passengers spend a lot of time at airports and so it becomes important to pick the right one rather than troubling much at others. 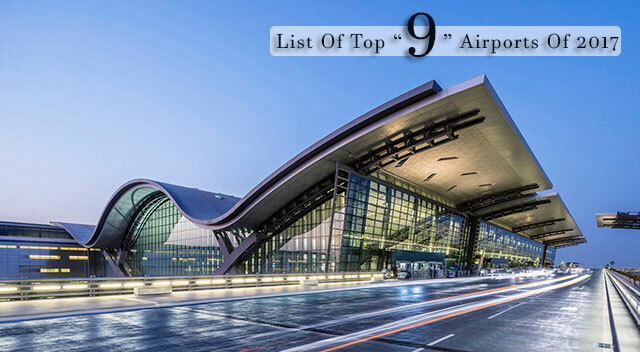 So here is the list of current Top 9 airports in the world that are succeeded in impressing the passengers with its remarkable services and facilities. London Heathrow Airport is one of the major international airports in London, United Kingdom. This airport was counted as the third busiest airport in the world on the basis of international passenger traffic but now has lost its thrown to Dubai International Airport. The airport supports more than 80 airlines which are linked to over 185 destinations in around 84 countries. It is the primary hub of British Airways too. It comprises 4 major passenger terminals along with a cargo terminal. The airport supports 6 runways which are arranged in three pairs at different angles in the shape of a hexagram. The ravishing features and compatible services of this airport have made it earns a spot in the Top 9 Airports list. Zurich Airport of Switzerland is also known as Kloten Airport. It is the largest international airport in Switzerland and is the official hub for Swiss International Air Lines. The airport has three airside piers which are known as terminals A, B, and E and is linked to central air-side building called Airside Center which totally supports numerous medical centers, a conference center, shops, restaurants, offices, and hotels. The airport is located in around 13 kilometers; north of Central Zurich. The airport is owned by Flughafen Zürich AG; a company quoted on the SIX Swiss Exchange and has successfully made its spot in the Top 9 List of Best Airports. Chubu Centrair International Airport is counted as the first class airport of Japan and it is the main international gateway for Chubu region of Japan. This airport is on the artificial island in Ise Bay, 35 km south to the Nagoya in central Japan. The main terminal of the airport is shaped like a “T” which is linked to three piers radiating from a central ticketing area. The airport serves a large number of domestic passengers and a number of regional routes operated to Asian cities such as Bangkok and Singapore. Worthy countable in the list Top 9 airports, this airport do deserve a spot on the list of top 9 airports in the world. Hamad International Airport is the international airport located in Doha (Qatar). Formerly known as New Doha International Airport (NDIA), Hamad International Airport was originally open in 2009 but due to a number of financial issues, its opening delayed to 30 April 2014. The airport supports around 30 million passengers annually and also concluded as the most architecturally significant terminal complex in the world, full of luxuries. Hamad International Airport has become the sixth airport in the world to receive the ‘5-Star Airport’ by Skytrax and does deserve the 6 spot in this listing of one of the best airports in the world. Hong Kong International Airport is the main airport in Hong Kong, located on the island of Chek Lap Kok which give the airport the name i.e. Chek Lap Kok Airport. It is one of the busiest airports by passenger average and is the main gateway for destinations in Mainland China. Serving passengers in more than 45 destinations, the airport is counted as the world’s busiest cargo gateway and one of the world’s busiest passenger airports. The airport supports 100 airlines to about 180 locations all around the world which includes 44 destinations on the Chinese Mainland only. The airport is a winner of the “Airport of the Year” title at the World Airport Awards and so is ranked at 5th spot in the listing. 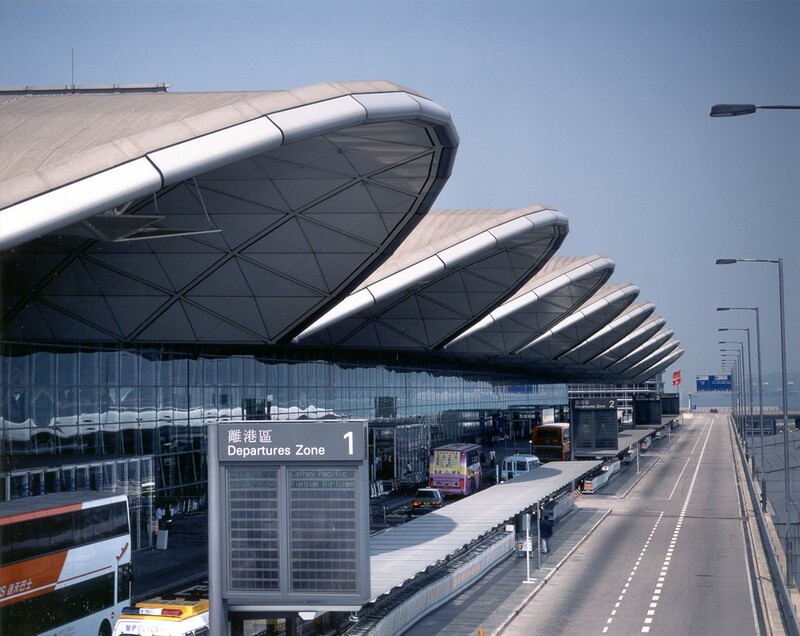 The Munich Airport is the major international airport of Germany. Being the second busiest airport in Germany, the airport is the secondary hub for Lufthansa German Airlines. It is linked to around 248 destinations all over the world. 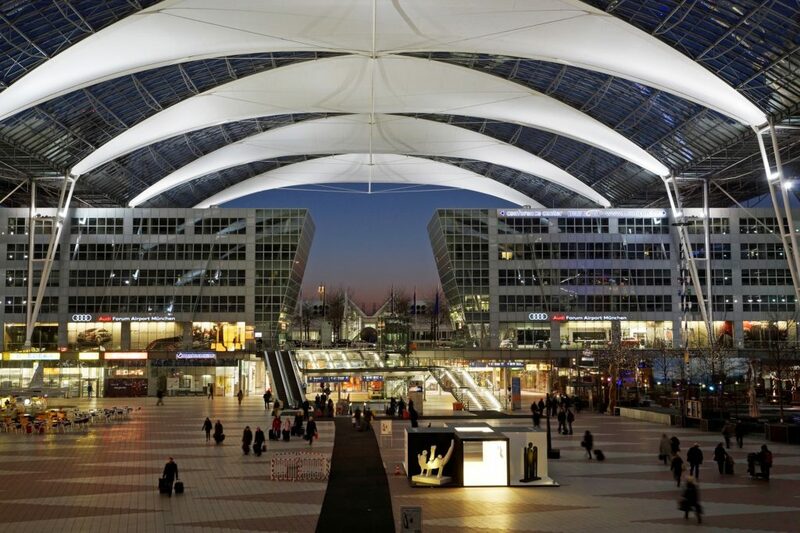 It is also the 7th busiest airport in Europe, handles more than 42 million passengers last year. The airport is located 28.5 km northeast of Munich near the old city of Freising. The airport supports two passenger terminals and an additional midfield terminal too with two runways and extensive cargo with maintenance facilities. Featuring 150 retail stores and more than 50 places to relax and dine, the airport has made its unique mark and definitely place 4th in the list. 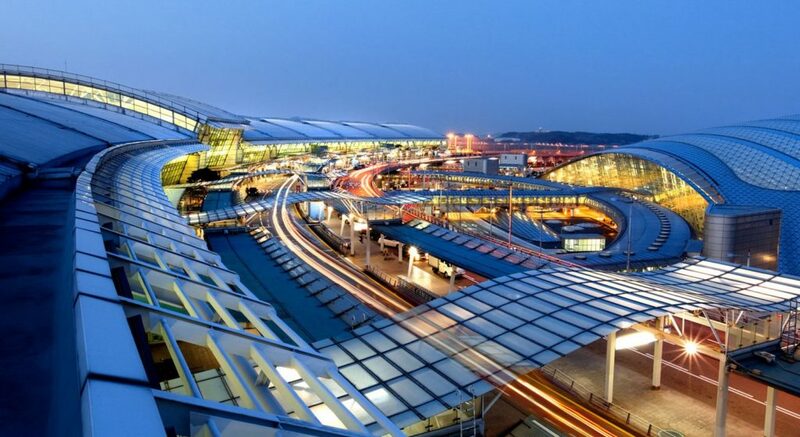 The Incheon International Airport got 3rd spot in the top 9 ranking of best airports. Being the largest airport in South Korea, it holds a record of being ranked the Best Airport Worldwide for 11 consecutive years by the Airports Council International from 2005 to 2016. One of the busiest airports in the world, it is also known for it fast services which involves an average departure and arrival time of 19 minutes and 12 minutes which is very less as compare to others i.e. 60 minutes and 45 minutes respectively. It is also famous for its duty-free shopping mall which has been rated as the world’s best for three years in a row by Business Traveller. It is being awarded as the world’s cleanest airport and the world’s best international transit airport by Skytrax. So truly deserve the 3rd spot in the listing of best airports. Commonly known as Haneda Airport or Tokyo Haneda Airport, the Tokyo International Airport is one of the two primary airports in Japan which serves the Greater Tokyo Area. The airport came into existence in 1978 and from then it keeps on handling almost all domestic flights to and from Tokyo. 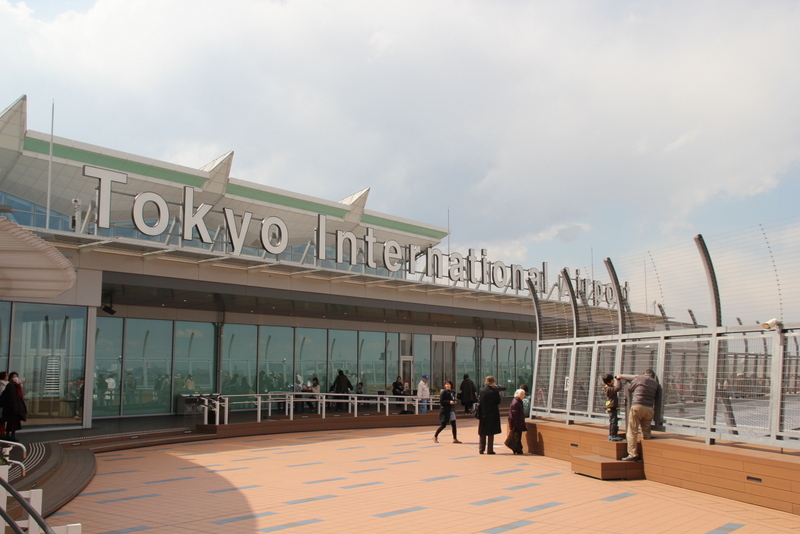 Haneda Airport properly handles more than 75 million passengers in 2015. It was the third busiest airport in Asia and the fifth busiest in the world. Playing a major role in the increment of tourism in Japan, the airport keeps on boasting both domestic and international terminals. Holding the 2nd place in list of top 9 airports in the world, Haneda keeps on improving its services by innovating new thing again and again just as it implements a new “Premier Gate” facility for business jets, with parking available for up to 30 days. When it comes to No. 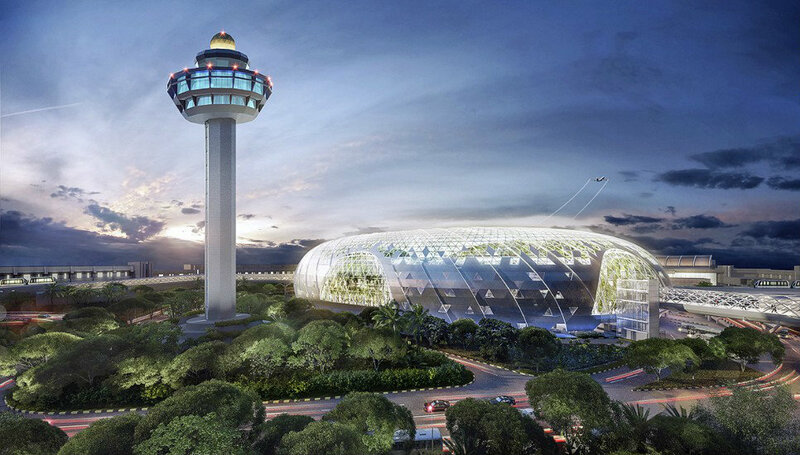 1 Spot of best airports, the position should be given to the one who satisfies all the conditions and terms and so as we can see in the case of Singapore Changi Airport. Popularly known as the Changi Airport, it is the primary civilian airport for Singapore and the largest transportation hub in Southeast Asia. Currently occupying the world’s best airport according to Skytrax, the airport is holding its 1st position from the 5 consecutive years i.e. from 2013 to 2017. The airport perfectly serves customers to more than 200 destinations all around the world with about 5000 arrivals and departures per week by 80 international flights. Located at the eastern end of Singapore approximately 17.2 kilometers northeast from Marina Bay, it is operated by Changi Airport Group. Fully deserve the number UNO spot in the listing. 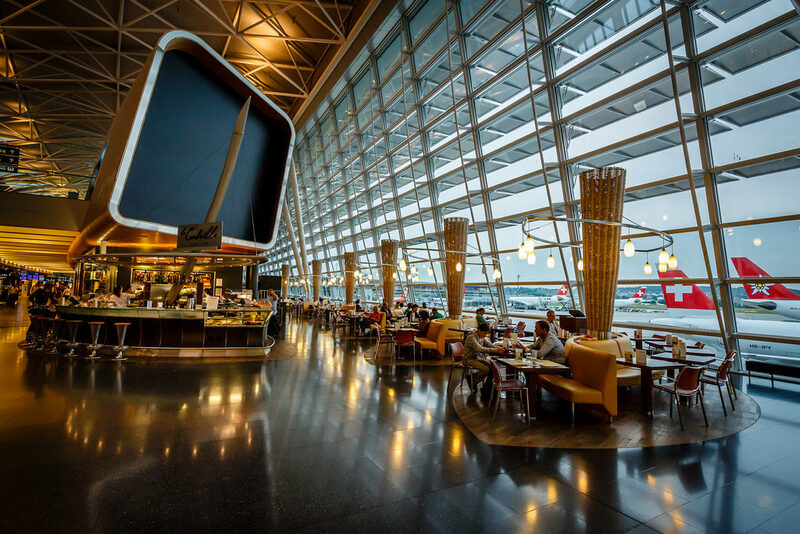 Hence, here is the current listing of the Top 9 major airports which are successfully able to impress everyone with its beauty, services, and features. When we talk about finding the best airlines, things like punctuality, quality, and speed of dealing with any compensation claims etc. matters a lot. Experts do gather all the information in regards to different aspects and then acquire the appropriate winner. Basically, it all depends upon how well-settled an airline is in serving its passengers. Other big points which effect the decision of the judges regarding choosing the best airlines include the fleet age, passenger review ratings, profitability, investment rating, key product offerings and much more things like that. It is not an easy race to be the Top 9 Airlines in the whole world. Every year, we get a new winner which passes all the basic necessities related to passenger’s safety or implementing new innovated stuff for the comfort of the travelers. 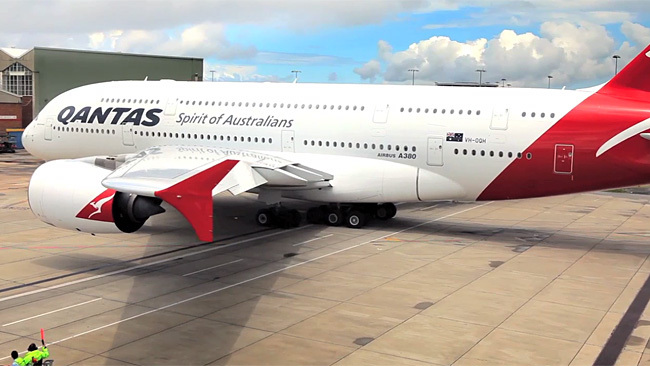 Qantas Airways is the airline carrier of Australia with the largest fleet size. Being the third oldest airlines in the world, Qantas was formed in November 1920. As the airline is facing severe financial issues from recent years but still it is offering good services and facilities to its passengers. Due to these reasons only, the airline has been selected as the best one in Australia/ Pacific for the fourth successive year and earns the ninth position in the series of best airlines in the world. Qantas has several in-flight entertainment systems installed and the seats of the first class cabins rotate, facing forward for takeoff, move to the side for dining and sleeping and involve numerous features like these. Qantas also supports smartphone application programs for Android. 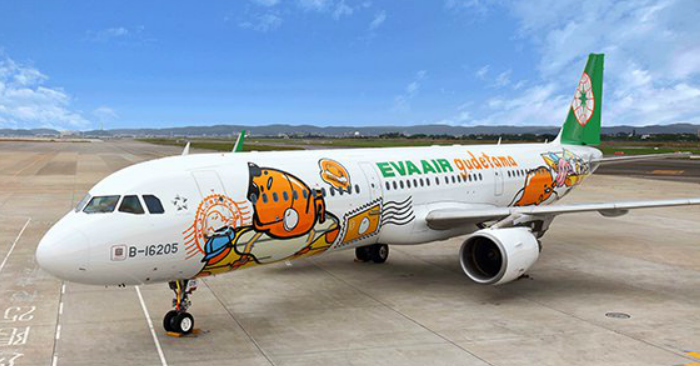 Eva Air Corporation is a Taiwanese based international airline which through mid 2000 has limited its access to Europe and certain Asian countries mainly due to the political status of Taiwan. But from the past two decades, the services of this international air services have extended to 40 international routes. EVA Air is also the winner of World’s Best Transpacific Airline. The airline is credited with pioneering the “premium economy” cabin. 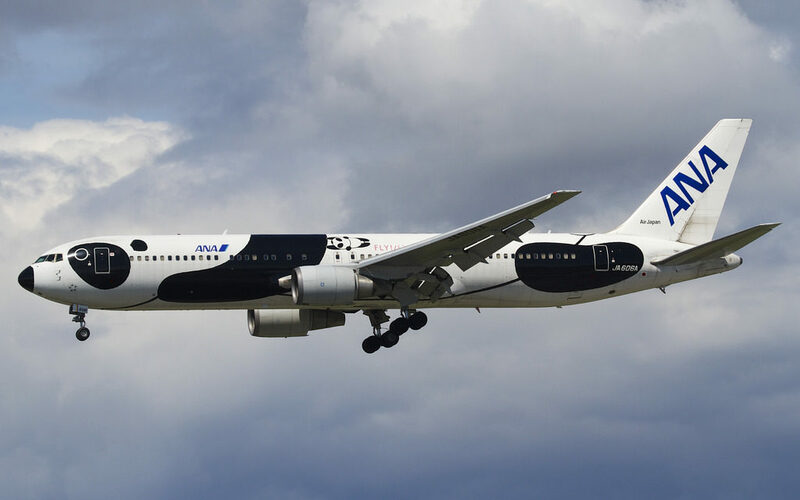 As the result, the airline has captured the spot 8 in the list. Turkish Airlines is the carrier airline of Turkey and its headquarters is at Ataturk Airport, Istanbul. The airline has become the first airline to fly in more than 119 countries. It also serves its services to 290 destinations including Europe, Asia, Africa and America. 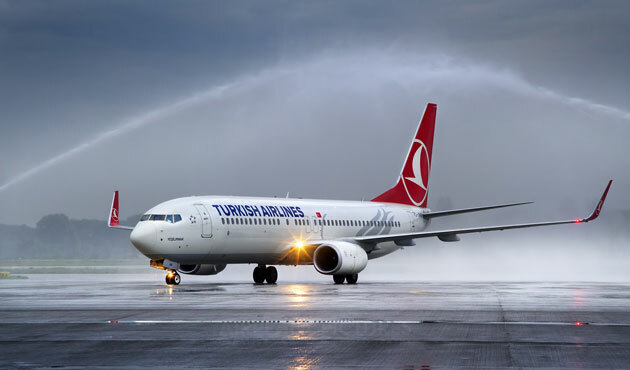 The Turkish Airlines has been selected as the World’s Best Premium Economy Class Airline for the three consecutive years in 2011, 2012 and 2013. Along with that, it also holds the status of the top European airline in 2014, 2015 and 2016, and that also was for six years in a row. Being selected as the fourth-largest carrier in the world by a number of destinations, it stands at spot 7 in the list. Etihad Airways is a flag carrier of UAE. Being the second largest airline of UAE, it serves its service to more than 100 destinations. Having its main hub in Khalifa City, Abu Dhabi, near Abu Dhabi International Airport, the airline is known for its remarkable residence flying apartments and its elegant first class and business class suites. Etihad is also known for its in-flight entertainment system with audio-video on demand system that allows passengers to play their own audio, video and picture media. Being the winner of World’s Best First Class, Best First Class Seat, and Best First Class Onboard Catering, this airline truly deserves a spot in this category. If you want to get the glimpse of the divine services of Etihad Airways, then you can easily book one of the flights to your route at reasonable rates by connecting to FlyDealFare.com. When we are considering the World’s top airlines, how can Japan lack behind? ANA or All Nippon Airways is the largest airways service of Japan. Well-known for its cleanliness, service, and safety, the airlines also feature the slide-forward-style reclining seats that inturns increase overall privacy. Being selected as the winner of World’s Best Airport Services and Best Airline Staff Service in Asia, the airlines operate services to both domestic and international destinations and had more than 20,000 employees. The main office of ANA is located at Minato (Japan). In 2013, ANA was named a 5-Star Airline by Skytrax. Hence ANA does deserve a spot on this list. 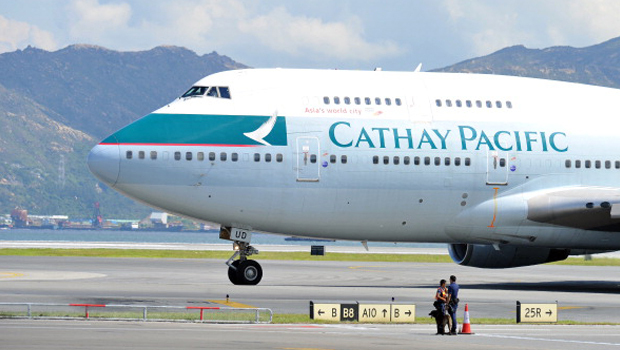 Cathay Pacific is the popular carrier of Hong Kong, having its main hub located in Hong Kong International Airport. The airline is supporting the passengers and cargo services to 180 destinations in 44 countries worldwide. Despite the Hong Kong-based Cathay Pacific fell back one spot from last year but still, the airline has managed to retain its place as the highest-ranked carrier from the Pacific Rim. Supporting a fleet of long-range Boeing 777-300ER jets and a business strategy centered, it is counted as one of the finest flying experiences in Asia. So it definitely scores well in the listing of top 9 airlines. 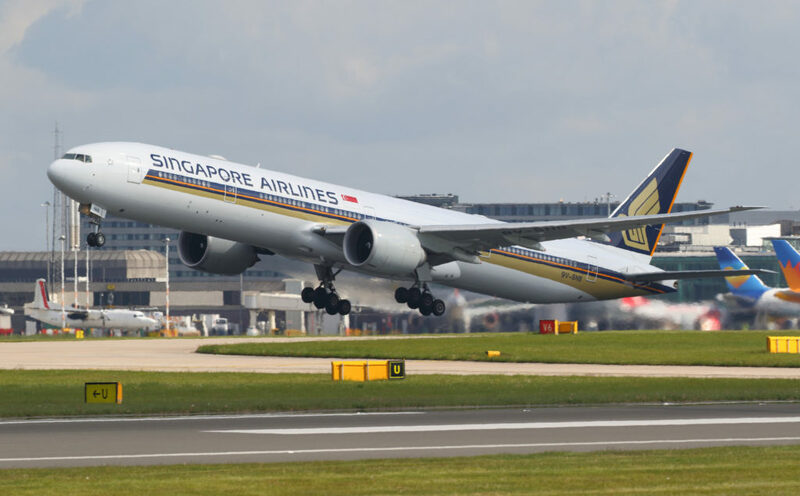 Singapore Airlines Limited is the main flag carrier of Singapore with its headquarters at Singapore Changi Airport. Well-known for its hospitality, the airlines offers a plenty of entertainment sources to its passengers which include the 24-inch in-flight entertainment screen with video touch screen handsets to the first class passengers too. The ravishing features like adjustable in-seat lighting, passenger control unit, hot towels served before take-off, a fixed-shell cabin with a 35-inch wide seat, foldable bed, etc. have made this airline the first choice for travelers. Skytrax has also named this airport as the Best Airport in the World for four years in a row. And the airlines capture the 3rd position in the list of best airlines in the world 2017. Qatar Airways is the flag carrier of Qatar having its main hub at the Qatar Airways Tower in Doha. It is connected to over 150 international destinations across Africa, Central Asia, Europe, Far East, South Asia, Middle East, North America, South America and more. The airlines also make its economy class guests to enjoy features like smartphone and tablet connectivity to their personal screens etc. Being the world’s third largest international cargo carrier, the airlines offers its first-class passengers, 6.5 feet of legroom and seats that fold into flat beds with feather and also the facility of massage functions and various entertainment options like all aircraft have personal seat-back television screens. Qatar Airways economy class was named best in the world in the 2009 and 2010 by Skytrax. And the airline attain the Number 2 position this year. As per the new ranking, the number UNO is captured by Emirates which is wholly owned by the government of Dubai’s Investment Corporation of Dubai. Being the largest airline of Middle East, it facilitates its services in more than 154 cities across 6 continents. 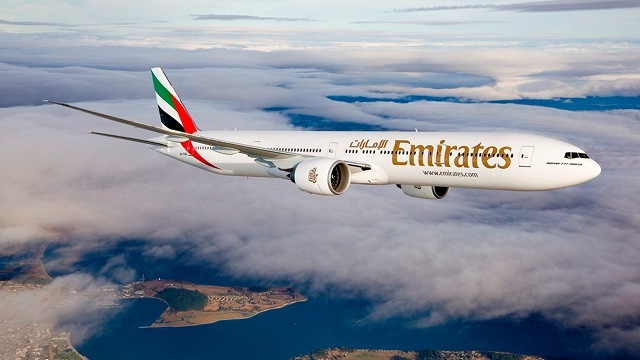 Emirates is fourth-largest airline in terms of international passengers carried which let the airline to expand both its fleet and its destinations year by year. The carrier also boasts the world’s largest fleet of Airbus A380 super jumbos and Boeing 777 wide-body jets. Emirates never disappoint its passengers and do constant innovations in its services. Talking about the entertainment system, Emirates has been awarded as the best airline for In-Flight Entertainment from the 12 consecutive years. Totally the best airline in its category, to hold the 1st spot. So here’s the list of top 9 major airlines in the world which totally get succeeded in impressing the passengers and the critics with its services and hospitality.